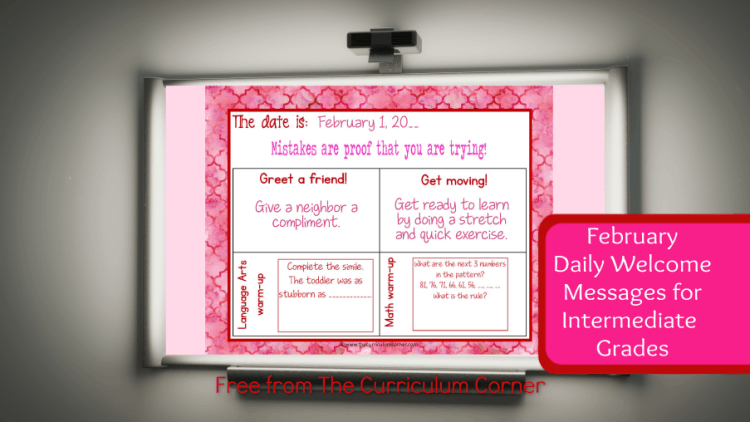 This set of free and editable Intermediate February Daily Welcome Messages is an easy way to get your students to enter the classroom and focus on the day ahead. 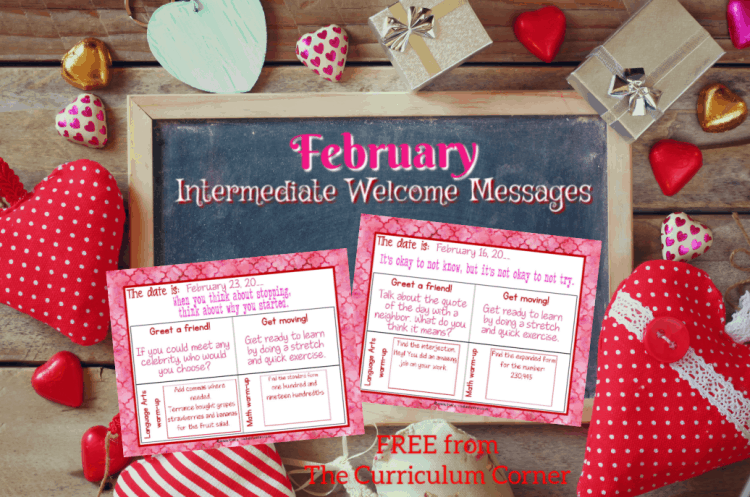 Start your day with these ready to go Intermediate February Daily Welcome Messages! These are geared towards 4th, 5th and 6th grade classrooms. This is the first in the series. We will begin creating a set for each month. You will find 29 daily welcome messages within this set. 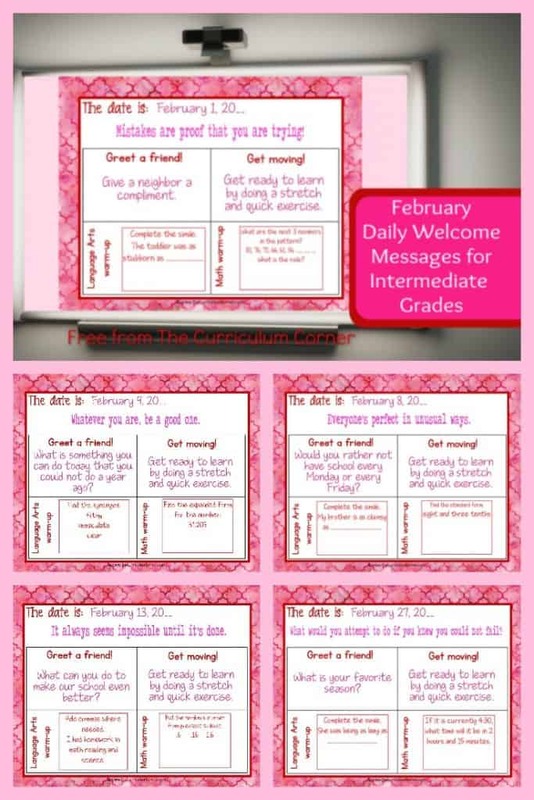 When we created this set of Intermediate February Daily Welcome Messages, we had a few goals in mind. Now for the exciting part. The top three sections are not editable. You will be able to edit the reading and math warm-ups to fit your classroom. You folks are awesome for creating this site and sharing your ideas…for free. Looking forward to exploring the site. Thank you.